Barrie was educated at King Henry VIII School, Coventry Technical College and Lanchester College of Technology in Coventry. In September 1959 he commenced his career as a five-year indentured commercial apprentice at Jaguar. After rising to chief buyer at Jaguar, he joined Leyland Truck & Bus as supplies manager of the greenfield National Bus project in 1969. 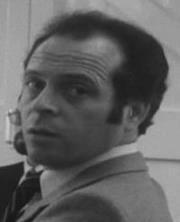 In January 1972, he joined specialist vehicle producer, Reliant Motor Company, where he helped introduce into production the Reliant Robin and Kitten, the Turkish Otosan Anadol station wagon, and the Scimitar GTE, rising from director of supply to director of product development and supply, before his appointment as deputy managing director in 1976. He resigned from Reliant after an unwelcome takeover in 1978. John DeLorean appointed him director of purchasing of DeLorean Motor Cars Limited in October 1978, starting work on the day the excavators moved onto the 72-acre cowpatch. He chaired the joint Lotus-DeLorean product coordination committee and later became director of supplies; director of product development and supply; and then chief executive in receivership and liquidation; before ending his service in February 1983 as longest serving employee. After DeLorean, he started Sir Clive Sinclair's vehicle business before founding the automotive project managers de Montfort in 1985. Over the next 20 years, he led teams working in the auto sectors of Malaysia, Indonesia, Taiwan, Korea, China, India, the Russian CIS, and Iran, whilst undertaking interim management roles for Lotus, Lamborghini, Land Rover, the Ministry of Industry of the Republic of Indonesia, the UK Department of Trade and Industry, and the European Union. As creator of Project Kimber in 2005, he formed a team of hand-picked auto specialists in an unsuccessful attempt to save the MG brand from Chinese ownership and to reintroduce DaimlerChrysler’s smart roadster into production as the MG Midget. In 2006, the smart roadster element was restructured into a new business plan as the AC Ace - before the project crashed into the brick wall of the global financial crisis at the end of 2007. Since then, and between the occasional consultancy assignment, Barrie has assisted the production of the coffee table book DeLorean - Celebrating the Impossible and written his memoir of his time with DeLorean (at right). Created early on in receivership to give an overview of the DeLorean manufacturing facility, product plan, key staff and more for presentation to potential investors. Barrie Wills has promised his collection of DeLorean-related files to the DeLorean Museum upon completion of his second book, due out in 2017. Check back as we add more to the site, or sign up for our newsletter to be notified of updates as they occur! ​Can't wait? Barrie has written his memoir of his time with DeLorean, entitled John Z, the DeLorean & Me...tales from insider, published on 21 October 2015. The Museum is pleased to offer signed copies of his hardcover, 392-page book! ​John Z, The DeLorean & Me is an insider’s view of the longest serving employee, director of purchasing and supplies, and last chief executive of DeLorean Motor Cars Limited (DMCL) in Dunmurry, Belfast, Northern Ireland - Barrie Wills. The book is a near history of the DeLorean project with much of the hard work, effort and inspiration contributed by so many written about for the first time. Artfully illustrated with hundreds of photographs, many for the first time, showing why so many employees considered the project the best of their working lives. The book heralds the record 28 months in which the car was engineered, developed and built, whilst a state of the art factory was designed, built, equipped and staffed in West Belfast at the height of The Troubles and recognizes the pioneering of advanced technology in Europe and the introduction into the UK of simultaneous engineering - now the global norm. The reader is introduced to the good humor and camaraderie within the project's different nationalities and between its workforce, drawn evenly from the Loyalist and Republican factions. For the first time, details of the receivership and what the receiver, Sir Kenneth Cork, called the first sensible business plan he had seen are disclosed. They highlight what might have been had a re-styled Triumph TR8 (re-branded as Healey 3500) been built alongside the DeLorean re-branded as the Healey Gullwing. Painfully so, it also describes how the bad listener in Margaret Thatcher thwarted that British rescue through her habitual micro management. All in all, John Z, the DeLorean and Me explains how the inspirational but maverick John Z DeLorean destroyed the very project he created, leaving the people of Northern Ireland behind as the real losers.